The basis for this dangerous precedent is that the Israel FTA includes the illegally occupied West Bank as a place where Israel's custom laws apply. Two weeks ago the worst fear of Canadian opponents of neoliberal "free-trade" agreements came true. Surprisingly, there has been almost no reaction from the political parties, unions and other organizations that warned these agreements would be used to undermine Canadian law, even though this is exactly what happened. Shiloh Wineries, north of the West Bank city of Ramallah Nov. 8, 2015. After David Kattenburg repeatedly complained about inaccurate labels on two wines sold in Ontario, the Canadian Food Inspection Agency (CFIA) notified the Liquor Control Board of Ontario (LCBO) that it "would not be acceptable and would be considered misleading" to declare Israel as the country of origin for wines produced in the Occupied Palestinian Territories. Quoting from official Canadian policy, CFIA noted "the government of Canada does not recognize Israel's sovereignty over the territories occupied in 1967." On July 11, the LCBO sent out a letter to all sacramental wine vendors that stated CFIA's conclusion that products from two wineries contained grapes "grown, fermented, processed, blended and finished in the West Bank occupied territory" and should no longer be sold until accurately labelled. But, in response to pressure from the Israeli embassy, Centre for Israel and Jewish Affairs and B'nai Brith, CFIA quickly reversed its decision. 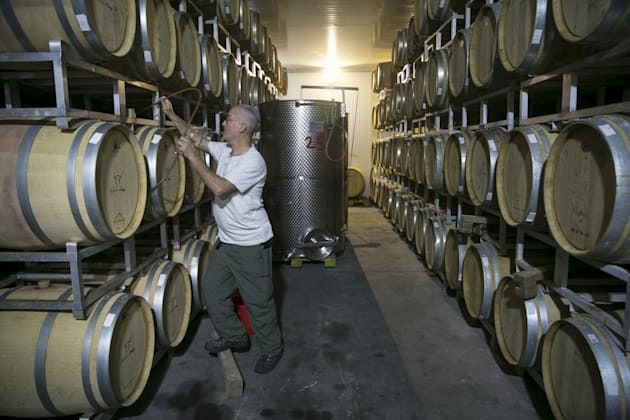 On July 14, the government announced that it was all a mistake made by a low-level CFIA official and that the Canada-Israel Free Trade Agreement (FTA) governed the labelling of such wine, not CFIA rules. "We did not fully consider the Canada-Israel Free Trade Agreement," a terse CFIA statement explained. "These wines adhere to the Agreement and therefore we can confirm that the products in question can be sold as currently labelled." In other words, the government publicly proclaimed that the FTA trumps Canada's consumer protection laws. And the basis for this dangerous precedent is that the Israel FTA includes the illegally occupied West Bank as a place where Israel's custom laws apply. Incredibly, the Green Party of Canada seems to be the only organization that has publicly challenged this egregious attack against consumer protections and Palestinian rights. "The European Union and the United States made it clear long ago that goods made in these illegal settlements cannot be mislabelled as 'Made in Israel,'" said Green Party leader Elizabeth May in a press release. "Why is Canada singling out Israel for preferential treatment at the expense of both Palestinians' human rights, and the rights of Canadian consumers?" The Green's statement points to a startling "Israel exception" by the government as well as FTA critics. I've seen no comment from the Council of Canadians or the organization's trade campaigner, Sujata Dey, about the Liberal's announcement that an FTA overrides Canadian consumer protections. The same can be said for NDP International Trade critic Tracey Ramsey, as well as the Canadian Centre for Policy Alternatives and its Trade and Investment Research Project leader, Scott Sinclair. (Since CFIA's announcement Ramsey and Dey have each posted repeatedly to Twitter regarding CETA, NAFTA and other FTAs.) Nor have consumer protection groups such as the Consumers' Association of Canada or Consumers Council of Canada opposed this attack on the Food and Drugs Act. But FTA critics still have an opportunity to join the fight against CFIA's recent decision. David Kattenburg and his lawyer Dmitry Lascaris are planning a court challenge, and their efforts should be supported. 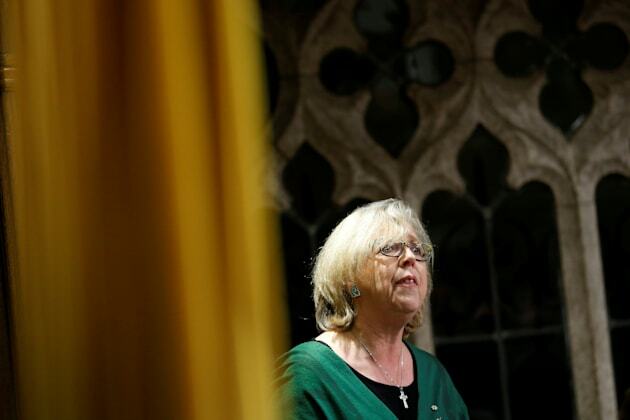 Green Party leader Elizabeth May speaks during Question Period in the House of Commons on Parliament Hill in Ottawa, Nov. 30, 2016. To allow this precedent to pass without challenge, the CCPA, NDP and Council of Canadians would be conceding an extremely broad "Israel exception." Opposing CFIA's move isn't akin to backing Palestinian civil society's (entirely legitimate) call for international Boycott, Divestment and Sanctions until Israel: "Ends its occupation and colonization of all Arab lands and dismantles the Wall; Recognizes the fundamental rights of the Arab-Palestinian citizens of Israel to full equality; and Respects, protects and promotes the rights of Palestinian refugees to return to their homes and properties as stipulated in UN Resolution 194." Nor is it a request for Ottawa to bar wines produced on the 22 per cent of pre-1948 Palestine that's supposed to be a Palestinian state per official Canadian policy. It is not even necessarily a demand to eliminate the special tariff treatment the Israel FTA currently grants companies based in the occupied territories. It is simply a request to respect Canada's Food and Drugs Act and label two brands of wine accurately. Kattenburg explains, "Israel's self-declared right to sell falsely labeled products on Canadian store shelves should not be allowed to trump the right of Canadians to know what they're eating and drinking; to know that the fine bottle of 'Israeli' red or crispy chardonnay that they just bought was actually not produced from grapes grown in Israel, but rather, in Israeli-occupied, brutally exploited Palestine."